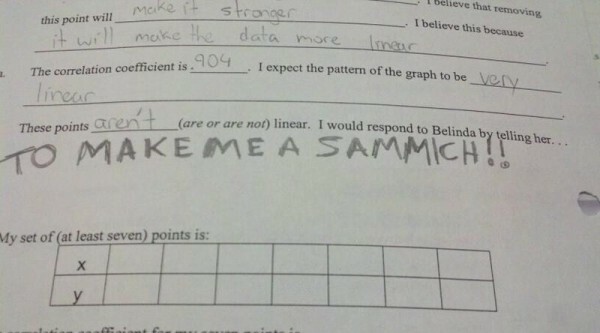 … and this is how you easily fail a test… especially if your teacher is a girl. Never had a girl teacher. I’ve had women teachers, but no girls.